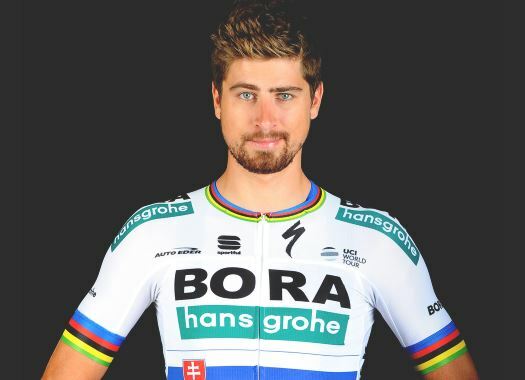 Peter Sagan (Bora-hansgrohe) has finished in the third position of the second stage at the Vuelta a San Juan. The former world champion crossed the finish line behind Julian Alaphilippe and Simone Consonni. The heat was once more one of the principal factors in the Argentinian race, to the point that the stage had to be shortened and its start had to be postponed. The peloton arrived together to the last climb of the Alto Punta Negra but the difficulties of the ascent made it smaller as the kilometres passed. With 2.5 kilometres to go, Deceuninck-Quick-Step's Julian Alaphilippe made the move that gave him the final victory. Behind him, the peloton increased the speed with the help of riders like Peter Sagan, who at the end crossed the finish line in the third position. "We had another hot stage at the Vuelta San Juan but the clouds over the finish area made it a bit easier for us," said the Slovak champion at the end of the stage. "Again, the whole team did an excellent job, they set a strong pace at the front and controlled the race. "In the final kilometres when Alaphilippe attacked there wasn't a lot of cooperation in the chasing group and we weren't able to close the gap. The finish was very close but Alaphilippe held on and won. My form is progressing the way it should this time of the year, so all is good and we'll keep fighting every day."